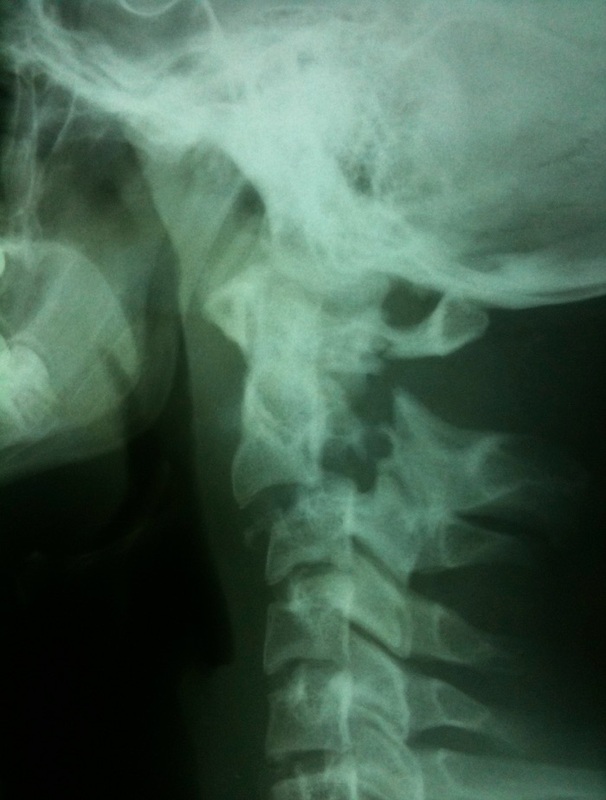 X-Ray of Henry Raker's neck, broken in four places. It was repaired with titanium, or “ferblanc” in French (literally ‘white iron’). Like many great things, Ferblanc was born out of adversity and started with pain. In 1988, Kevin very sadly died after contracting an unidentified neuro-degenerative virus which started by paralysing him and finally consuming him. In 1992, Ferblanc Founder, Henry Raker, broke his neck in four places by diving into a lake and hitting a sandbank under the water. French surgeons used titanium, ‘ferblanc’ in French (literally ‘white iron’), to rebuild Henry’s neck. Both men, unknown to one another, founded charities to advance neurological research and rid the suffering of others. Ferblanc is their legacy. Ferblanc has raised over £250,000 for research into spinal injuries and neurological disorders. By supporting research into these areas, not only can we develop scientific understanding, but findings can be translated between disciplines to stimulate new research paths and further development.